Downgrading iOS versions on iPhone, iPod touches, and iPads is a very hot topic among the jailbreak community. There hasn’t really been a way to do it without Apple signing the version you are downgrading to in a long time. However, recently a tool called ‘futurerestore’ or ‘Prometheus’ has been released by Tihmstar, giving people the ability to restore to unsigned iOS versions if you have the correct SHSH blobs for it. This tool is quite complicated to use, and isn’t 100% finished yet, but as long as you do everything correct, you can restore an iOS device to an unsigned iOS version. The tool is currently only compatible with macOS and Linux, but Windows support should be coming in the future. This downgrade method is also not a perfect one. It does have a few down sides and side effects. This mainly being that it doesn’t work all the time. So why would you want to restore to iOS 10.2? The main reason everyone would want to restore their device to iOS 10.2 is to get a fresh install, ready to be jailbroken, without having to update to the latest version. iOS 10.3.1 is currently the only version being signed by Apple, which cannot be jailbroken at the moment. This would normally mean that if something happened to your jailbreak forcing you to restore you device, you would also have to update to the latest version and lose your jailbreak. However. using this method you can restore to iOS 10.2 without having to update. It should be noted however, that this will only work while Apple is signing iOS 10.3.1 (or a newer version that has a SEP compatible with iOS 10.2). This means that when future versions of iOS are released, you may not be able to use this method to restore back to iOS 10.2. This method also requires that you have valid SHSH2 blobs saved for iOS 10.2. If you do not have these saved already, it is too late to save them as Apple no longer signs iOS 10.2. You should always save SHSH2 blobs for every iOS version. There are two methods of restoring to iOS 10.2 while it is not signed by Apple. The first one requires you to be jailbroken on iOS 10.0 – 10.2 using at least beta 6 of the YALU jailbreak (guide here). This method is almost guaranteed to work as long as you have valid SHSH2 blobs saved. The second method is for devices that are not jailbroken (e.g. are on iOS 10.2.1). This method is not guaranteed to work, and if it does work could take hours or days to complete. It relies on the device generating the same nonce that is in your SHSH2 blob, which isn’t always likely to happen. This downgrade requires you to have SHSH2 blobs saved for iOS 10.2. If you do not have them saved already, you cannot do it anymore as iOS 10.2 is no longer signed by Apple. This tool is currently only compatible with macOS and Linux. Official Windows support should be added at some point. If you are using windows you can install a macOS virtual machine. When using this method to restore to iOS 10.2, Touch ID WILL work. Sometimes when using this method Touch ID wouldn’t work after the restore, but iOS 10.3.1 and iOS 10.2 have the same SEP, so Touch ID works perfectly. This downgrade should work with all 64-bit devices, and maybe 32-bit devices, as long as you have valid SHSH2 blobs for iOS 10.2. This will restore your device and erase all data on it. Make sure to backup in iTunes if you want to keep any data on your device. This exact method will only work while iOS 10.3.1 is being signed by Apple, however it is possible to tweak it if you use files from the latest IPSW file instead. One of these methods requires you to already be jailbroken on iOS 10.0 – 10.2 using at least beta 6 of the YALU jailbreak. If you are not yet jailbroken, you can find out how here. The non-jailbroken method of doing this isn’t guaranteed to work. If it doesn’t work within a day, it probably won’t work at all. If you get any errors with futurerestore, or have any questions, please read this post before asking for help. Depending on your iOS version you will need to use a different method (either the jailbreak method or the non-jailbreak method). *Using the jailbroken method below iOS 10.0 will require you to run nonceEnabler on your device first. See this guide to find out how to do this. Create a folder on your desktop called ‘Downgrade’. This is where we are going to keep all of the files needed to downgrade. Keeping everything in one folder makes it much easier to work with. Download the IPSW files for iOS 10.3.1 and iOS 10.2 from our downloads page here and save them in the ‘Downgrade’ folder you created. Make sure to select the correct IPSW’s for your device. Download the latest version of ‘futurerestore’ from here and save it in the ‘Downgrade’ folder you created. Extract the ZIP file and make sure the ‘futurerestore_macos’ file is present. Move the ‘futurerestore_macos’ file to the main ‘Downgrade’ folder. You can delete the ZIP and all other extracted files at this point. Once the iOS 10.3.1 IPSW file has finished downloading, right click on it and click ‘Rename’. Add ‘.zip’ onto the end of the filename to convert it from an IPSW to a ZIP file. You will get a pop-up asking you which extension you want to use. Make sure to select ‘.zip’. Double click on the new .zip file to extract it’s contents. You need to get 2 (if you are using a non-cellular device) or 3 (if you are using a cellular device) files from the extracted .zip file. These files are the ‘BuildManifest.plist’, the baseband (.bbfw file), and the SEP (.sep file). The ‘BuildManifest.plist’ file should be located in the folder you extracted from the ‘.zip’ file. Copy this file to the ‘Downgrade’ folder. Getting the baseband is a little bit more complicated. The baseband files are located in the ‘Firmware’ folder within the extracted folder. Depending on the IPSW file you downloaded for your device, there may be multiple baseband files in this folder. If there are, you need to make sure you copy the correct one. To check which file is the correct one, you can use the table to the right. 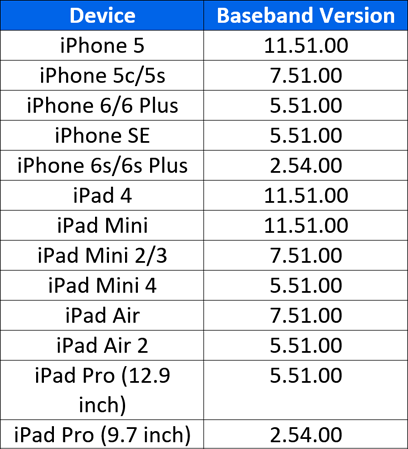 For example, if you are using an iPhone 6 Plus, the baseband version would be 5.32.00. Therefore, the baseband file would be named ‘Mav10-5.32.00.Release.bbfw’. Once you have found the correct baseband file, copy it to the ‘Downgrade’ folder. Make sure you copy the .bbfw file and not the .plist file. Similarly to the baseband, there are sometimes multiple SEP files in IPSW files for different devices or board configurations (which processor the device has). You need to get the correct SEP file or the downgrade will not work. To do this you will need to know what your devices board configuration is. You can find this using the app store app Battery Memory System Status Monitor on your device. Install it and once open, navigate to the ‘System’ tab located at the top. At the very top it should say the ‘Model’, followed by the board configuration (e.g. N59AP). SEP files are located in ‘Firmware/all_flash/all_flash.<boardconfig>.production’ within the extracted folder. For example if your board configuration is N56AP, the SEP file would be in ‘Firmware/all_flash/all_flash.n56ap.production’. In here you should find a file named ‘sep-firmware’ with the extension ‘.im4p’. Copy this file to the ‘Downgrade folder. Make sure to copy the .im4p file and not the .plist file. Make sure your device is jailbroken on iOS 10.0 – 10.2 using at least beta 6 of the YALU jailbreak (later versions will also work). If you have not jailbroken using it, you can find out how here. Find your iOS 10.2 SHSH2 blob file and move it to the ‘Downgrade’ folder. For this to work, you need to get the generator from this file to put onto the iOS device later. To do this, right click on the .shsh2 file and hover the cursor over ‘Open With’. Under this menu click ‘Other…’. From here you need to select a text editor to open the file with. TextEdit will do, but you can also use something else if you like. Scroll down to the bottom of the SHSH2 file and you should see a ‘generator’ key, followed by a string of characters. This string is the generator you need to put onto your device later. Copy it and save it for later, or just keep the file open. Open Cydia on the device you want to downgrade and install ‘OpenSSH’. You can find this simply by searching for it. On you Mac, download and install Python from here (if you already have it installed, you can skip this step). Since the YALU jailbreak only allows SSH over USB and not Wifi, you will need to run a Python script to SSH over USB. Download iPhoneSSH from here and save it to the ‘Downgrade’ folder. Extract the ‘master.zip’ file and find the 3 files inside the ‘python-client’ folder. Move all of these files to the ‘Downgrade’ folder. At this point you can delete the ‘master.zip’ and all other files extracted from it. Once the script starts running, just minimise the Terminal window and leave it running in the background. If the connection is made successfully, you should be asked to type ‘yes’ to confirm the connection. Type ‘yes’ into terminal and you should be asked to enter a password. For the password you should type ‘alpine’ (don’t worry if it doesn’t show you typing it on screen, it is still typing). Tap enter and you should now be connected to your device via SSH. Make sure to type it exactly as shown, including capital letters. You should notice the file’s icon change to a Terminal icon if done correctly. 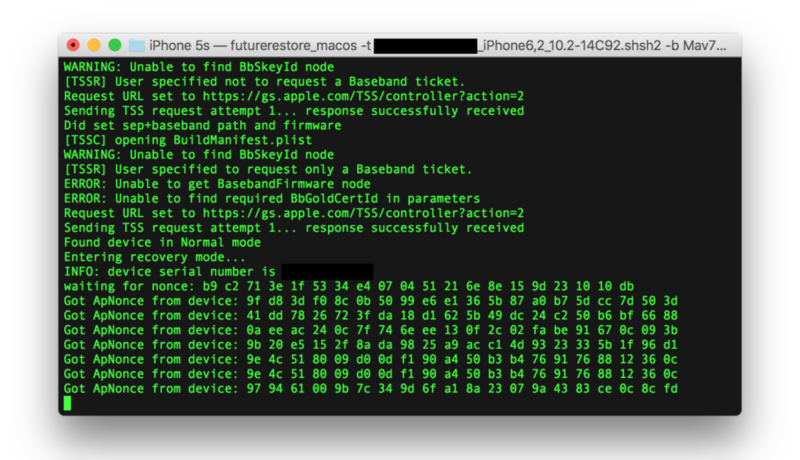 NOTE: If you are using a non-cellular device that doesn’t require a baseband, remove the -b <Baseband file> -p BuildManifest.plist from the command. You will also need to add --no-baseband onto the end of the command. 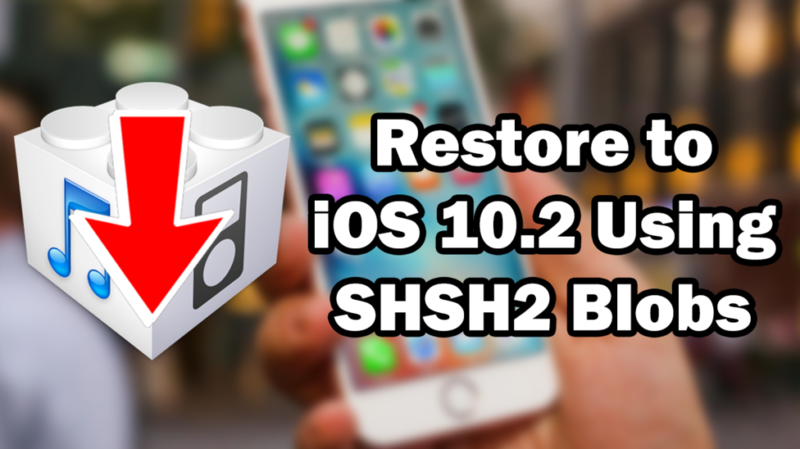 If you did everything correctly, and your SHSH2 blobs are valid, your device should now start to restore to iOS 10.2. Make sure you do not unplug your device, or close Terminal during this process. If you do, you may be forced to restore to iOS 10.3.1 and you will no longer be able to use this method. UPDATE – For this method to work you must be running iOS 10.3 Beta 1 (not beta 2 or newer). To find out how to install this on your device click here. Find your iOS 10.2 SHSH2 blob file and move it to the ‘Downgrade’ folder. If you did everything correctly, your device should now be put into recovery mode and will reboot over and over again. Each time it reboots it generates a different APTicket/Nonce value. The nonce generated by the device needs to match the one in your SHSH2 blob for the restore to take place. This process is not guaranteed to work, and if it does could take hours. You can increase the chances of a nonce collision by specifying multiple iOS 10.2 SHSH2 blob files in the command above (simply add ‘-t <shsh2 filename>’ to the command for each blob you have). If your device does find a matching nonce and begins to restore, make sure you do not unplug your device, or close Terminal during this process. If you do, you may be forced to restore to iOS 10.3.1 and you will no longer be able to use this method. If you don’t have any luck and want to give up trying, simply close Terminal and follow this guide to get your device out of recovery mode. [TSSR] User specified not to request a Baseband ticket. TSS server returned: STATUS=94&MESSAGE=This device isn’t eligible for the requested build. Unfortunately as no version of iOS 10 is signed anymore, this method of restore is no longer possible with iOS 10. Can any body clarify if you are going to downgrade from 10.3.2 to 10.2 or lower version, How will you supposed to have .shsh2 of destination version 10.2. Guys, please help… i’v done everything correctly but it keeps telling me the my sep firmware is not signed ,, what should i do !!!? i’m currently running iOS 10.3.3 on iPhone 6 trying to downgrade to iOS 10.2.1 ! Im downgrading my ipad air 2 on ios 10.3.3 to ios 10.2 with my shsh2 blob for 10.2 can u plz help me my nonces are the same. Unfortunately, you won’t be able to downgrade. This only works with devices that are jailbroken already. here and visit more often. Did you hire out a designer to create your tһeme? June 08 2017. 5s, 10.2, Yalu102 restored back to stock. Thank you ipodhacks142! June 09 2017. Hi, I’m back! 6s Plus, TSMC, 10.2, yalu102 restored back to stock 10.2. First go was successful. To confirm to whomever was/is asking, Yes 10.3.1 firmware can be used instead of 10.2.1 as said in this tutorial to restore to an unsigned version of firmware that is not currently signed by Apple. Thank you so much for a very helpful tutorial ipodhacks142! One question, I do everything right, the only thing that does not change me is the device, always the same number. now that apple stopped signing 10.2.1, can we still use this method to restore 10.2? Someone may approve it ..? I’ve been restoring my phone for the nth time following this instruction and haven’t faced any problems until yesterday. My iMessage somehow could not be activated. I wonder what could be causing the problem. Any help? Thanks! you have ios 10.3 beta 1? Hope that helps others. I was stuck for more than a week with unable to initialize the device failures. It was fun figuring it out though. Ah Ha! Is there really not a way to get the non jailbroken method to work on 10.2.1 downgrading to 10.2? I have 15 shsh blobs ffs! I am trying to update to 10.2 with shsh2 blobs. [Error] maybe you forgot -w ? anyone has any ideas why? Take SEP and Buildmanifest fils from 10.2.1 zip folder. I made a mistake and grabbed the 10.2 ones. how do i get a connection? Dont change the ip address. i got no answer at all when i hit enter. Did you do the ssh with python? I did everything exactly like the video told me ? Everytime when I run the command ssh root@127.0.0.1 -p 2222 nothing is happening. On the first terminal it says that it is waiting for my device but on the other when I hit enter the cursor is just jumping one line down, or two when I hit two times. I also tryed to do a ssh connection via wifi but same result. Can you please help me? The only thing I can say is, it sounds like python is not installed on your mac. If your using vm I think there are some issues that I am not able to help with. Hi Josh. Thank you so much. I successfully restore my jailbroken iOS 10.2 device following your instruction. My question is, after the restore, I noticed that there’s a .dmg file on my Downgrade folder. Is that file somehow useful, should I delete it or keep it? Thanks again. Hey Bro what device did u jus downgrade???? I too have an iPhone 6s but i created the SHSH2 Blob soon after iOS 10.2 released. Due to which, Prometheus does not recognize the blob as that of a 6s but instead it selects the default board number, which is that of the iPhone 6. Hence, every time the downgrade (or upgrade from 9.3.3 in my case) occurs, it skips the upgrade. Can you please help? i ask you to stop any attempts because it technically absolutely does not work with this description! Same yourself the headache and stop trying. This doesn’t work! Please advise if possible. Thanks. How did you solve that? Also had same problem but this link solved it. I am facing the exact same error. Its because the device being restored is a 6S and the APTicket is for the 6. This happens when the sep file has multiple boards and takes the first configuration as the default one, which is for the 6. If you find a solution to this, please let me know. IMPORTANT FOR VIRTUAL MACHINE USERS!!!!! error: bad cpu type in executable. I am using MacOS 10.5, which was the only verison i could get working in VMware What is this error? I followed the directions exactly, why am I getting this error. With 10.3, possibly downgrade to 10.2? Great walkthrough. But I am wondering; has anybody actually been able to downgrade from 10.2.1? It seems like all I read is people trying to downgrade for hours upon hours. I’ve tried 3hours times 5 with two blobs, but nothing. If anybody has a success story feel free to share it because at this point I think I’m just going to have to be happy without a jailbreak. Unfortunately tihmstar has confirmed that it’s patched in 10.2.1, so no downgrade for us. so thats it, theres no way at all to get a matching nonce? Surely theres a chance, you just have to be really lucky? JBDX what do you mean for 13 save shsh? Help? IPadPro 12.9 cellular data!! can one already say in possibly till when the server again is active? I do not recommend this method. Too complicated and does not guarantee its success. because in this period just one ios version signed by Apple, so in near future if apple release new ios, so we will have two ios signed, and if someone need to downgrade from ios 10.3 to ios 10.2.1 hier apple TSS server will return to work…. 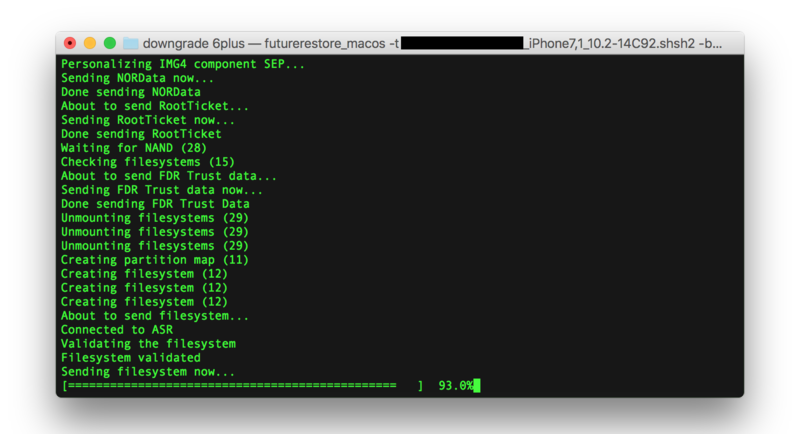 so in that period we will be able to make restore with futurerestore method…. Has anyone successfully? I think, this method does not work !!! nice tutorial Josh. bookmarked for the future. I tried to downgrade ios 10.2.1 (no jailbreak) iphone 6s with virtual machine on vmware, but i get errorcode =-2 … Someone tried to downgrade iphone 6s with virtual machine ? running fone here now in vmware …what does it say more than error 2 ? iPad Air 2 iOS 9.3.3 using jbme JB fails set nonce. Repeated attempts at running nonceEnabler either causes iPad to reboot or fails to set proper nonce generator for futurerestore to match APTicket. Speculating there might be a problem with kernel patching associated with nonceEnabler. Any suggestions for mitigating? Or perhaps just wait (and stop wasting time trying) and hope that thimstar updates code for nonceEnabler? untill now this process not finish?????!!! is this normal ? how lang time will take ??? i start with this process but until now not finish, it take 3 hours. please can you tell me if that is normal of not? m trying to downgrade from ios 10.2.1 to 10.2 but its just keep on going. tried 4 blobs out of 6(TSS) for on an average 1 and half hour but still no luck. I also tried one blob saved via ticketbox and it went for 3 straight hours and nothing happens. I’m losing hope now. 2 more blobs to go yet. You can increase the chances of a nonce collision by specifying multiple iOS 10.2 SHSH2 blob files in the command above (simply add ‘-t ’ to the command for each blob you have. Can anyone tell me how to specify multiple blobs at once with example.How should I arrange it. Already wasted 2 days in solving various errors before this process get going and now when everything is just fine but tickets aren’t matching. Someone pls reply with proper working solution to that multiple blob thing. Hey, same problem here! Tried my blobs for 4-6 hours with no collision… tihmstar mentioned that Apple could have fixed this in 10.2.1! IT WORKED FOR ME FINALLY!!! Lxeeeee you are a leggend!!!!!!!!!!!!!! For preparation on OS X we just need a bit more work to get this done. First we need an PLIST-Editor like TextWrangler or PrefEdit. One of it will do. Now after one editor is being downloaded, head over to “Launchpad” – “Utilities” and start “Terminal”. Here we need to install the “libmobildevice”-package to get “iproxy”. This should fix some errors. Than again use the command “brew install libimobiledevice”, which finally should install the so called “iproxy” on your Mac. If it is there, we now have to create a “plist” file which will start the job permanent in the background. Start one of the editors you download before and create a new file. Copy&paste the code below into it and save the file as follows on your desktop: com.usbmux.iproxy.plist . Hit enter and you should be on the right place to copy now the plist-file into this directory. The standard password, if not changed already should be: “alpine”. This replaces step 12 and 13 in this guide. bro how to instal it please tel me step by step clearly & i updated terminal with brew update. any change in downgrading procedure ? Warning: openssl is a keg-only and another version is linked to opt. Hi matt, finally end up with this error code. any thing i need to download first ? Thanks for your amazing tutorial ! Everything seemed to work fine but i finally cant get the right ticket. I guess the iphone rebooted alone when i was studying the tuts (iam on vm and had usb problem) So this should have change the ticket in it while rebooting. By the way i tried using the “probability attack version” with no result so far. I would like to know if there is a way to get back to my IOS 9.3.3 in order to restart from the beginning. I tried Irecovery tool but seems it didnt worked cant really figure out why. Thanks again for your great work and ofc Thanks @Tihmstars too. FYI, Was finally able to reboot using ReiBoot tool for mac. Will try again later with NonceEnabler. anyone have a solution to this? 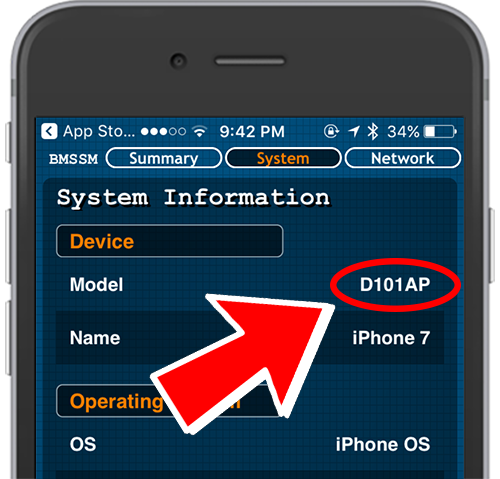 Please clarify whether to use the shsh2 blobs from “apnonce-XXXXX” folder on the “noapnonce” folder for iphone 6s. I have checked with img4tool, and the shsh2 blob files from both “apnonce-XXXXX” and “noapnonce” are VALID. Experimenting with shsh2 blob files from “apnonce-XXXXX” and then “noapnonce” SEPARATELY in futurerestore_macos yields the same results–i.e., futurerestore_macos runs continually without errors (just no luck downgrading). However, when trying to run all the shsh2 blobs together using the -t option, futurerestore_macos breaks with error code -2. I’ve been running prometheus for 2 hours now. Still no restore. Luckily I had already installed homebrew on my mac, if I hadn’t done that I probably would have given up cuz the tutorial doesn’t talk about hb. Not sure if this is gonna work, but I’ll wait for a while. If anyone has succeded using the non-jailbroken method, it would be nice to know that this actually works. So I’m using non-jailbroken method and it’s currently trying different APTicket/Nonce values..
Should it be opening that iTunes “there is a problem” dialogue box every single time? Happy to wait for it to keep trying and trying, but just want to make sure it’s “going ok” right now..
well not sure what exactly they patched but I just restored my device from a apple boot loop on the apple screen from iOS 10.2 to 10.2 using my shsh files It worked for me in 1 min – with brute force style the NON jallbroken way. As I couldn’t get into my device so I had to put the phone into restore mode, Hint only using 1 shsh seemed to take over an hr with no luck. After reading the anonce responses I noticed a key that I had in another shsh that loaded but wasn’t checked against. I restarted the process with all the shsh files I had and VIOLA. restore successful. That was not expected, as what I’ve read and seen online. What device so do you have? Also its on 10.2.1 the non jb method was patched apparently, i have tried using 13 different shsh at the same time. Also what exactly do you mean you found a key that wasn’t checked against? So what if you don’t fit either category. You said either jb on iOS 10 or not jb. I’m on jb 8.4 so what method do I use? How to Downgrade iOS 10.3 / 10.2.1 to iOS 10.2 Unsigned Using Prometheus on iPhone/iPod touch/iPad - iOSLovers - iOS and Android Support, Tutorials, Cheats, Tools and More! Copyright © 2011-2018 iPodHacks142. All Rights Reserved.